A more in depth talk about fire. Battleships as a ship class are very decent however the amount of fire causing and the damage received from it is annoying (gets 3 fires "puts it out" gets another three fires from the pop guns of a khab or 8 inch guns" my proposition is to not Nerf it but to more change its dynamics like; where the fire starts on the ship,and the size of the shell that caused the fire. so in this manner say a 8 inch he shell starts a fire on the battleships stern. it would do not as much damage as say to superstructure however it would do more damage than a 5 inch gun fire and weaker than an 16 inch gun fire. i am not operating on a biased standpoint i have played both battleships and cruisers. otherwise battleships are fine the way they are. the only nerfs and buffs needed are to certain BBS. saying that battleships need a buff is dumb. im just saying that fire in the way it is right now is being cancerous to this game. My issue with the fire meta is no captain ever said use HE, I want to start fires. Fire as a weapon was last an in thing when Greek fire was the ranged weapon of choice. 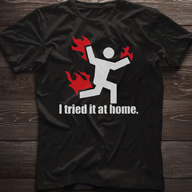 Fires should happen but not as the way you cause damage but that would require a major rework of the game. Ideally fire should be a minor issue unless it gets out of control. The problem is that battleships take the most damage from fire, have the most fire, nodes Ill call them, longer reload on their damage control party and fires last longer on them, and since fire does % damage the extra hitpoints in no makes makes you more durable against fire. Extra hitpoints may not, but I'm sure the Damage Repair Parties - you know, the ones that can repair 100% of fire damage - do help. They don't repair the damage but the do magically stop all the fires and then go on a union mandated break. Fires are obviously seen as a balancing problem to the Devs, otherwise they wouldn't have slashed the burn time for a fire on the DDs and CL/CAs in half and gave all CVs a 30 second active peroid for their DCPs. This is a post I made in a Warships FaceBook Group in response to a guy complaining about fire constantly destroying his Montana. We often see people vent, if not openly whine and cry, about fire and fire damage. Today, I began looking into the mechanic a little more and discovered some things. While I'm far from a game mechanics guru or even decent at math, I did make a basic example in another post that I'll be posting here. I just wanted to show people that you aren't dying to fire and if you are, its probably your own fault for lack of properly trained captains, poor ship equipment, or just not being that well versed in the game. Also, Montana is used as it was the ship being addressed in the earlier post. The picture contains the fire damage percentages straight from the Warships Wiki. Without further ado, read and learn.
" If you do the math a Montana has 96,300 Hit Points. Fire does 18% damage if it burns it's full duration. That 17,334 Hit Points. 3 fires burning for full duration is 52,000 Hit Points. Taking no other damage that leaves you with 44,300 Hit Points left. 2 more full duration fires is another 34,668. Still leaving 9,620. You'd still need another fire to burn for over 30 seconds to remove the remain HP. How is it possible to burn down? It's not. You're taking damage and also burning which is slowly taking away from your health pool but you're not really dying to the fire. This doesn't even take into account all the potential modifiers or damage control party and modifiers to that. I bring this up because in another comment you made mention of taking fire damage. I'm sorry to come across so crass but even in what you mentioned about taking 100,000 HP in damage over 5 games, you're not dying to fire. If we assume that 20k damage is your average amount of hit points lost per game than you're taking 20.7% of your damage from the fire itself. Nearly 80% of your damage is coming from other damage mechanics. Let's not forget that the fire damage is all repairable. Finally, start adding in your modifiers with this table and see where the damage drops off." The point is, if you spec a captain and put on the right modules, you can effectively reduce fire damage as a whole. You can help to prevent it, have it consume HP over less time, and totally negate it by reducing the amount of time taken to activate damage control party. You can also mount flags that help reduce fire burn time, increase the amount of health restored by the repair party time, and cut down the time between the use of the repair party consumable. Until the day a Montana doesnt do 13,000 damage to a cruiser with a single shell from 20km, you cant complain about fire. Yes, feel free to say get gud, but it is impossible to be angled properly at all times from all enemies. Also, when battleships cant park bow on and tank most AP damage, bounce, or shatter the rounds then fire can be readjusted. Fire helps balance the games for other ship types and it also helps steer the META. It should also help keep Battleship captains, in particular, from being able to specialize their captain's skills and modules to be completely offensive in nature and in essence a God Class. Im willing to bet that many battleship captains have BFT and AFT, Concealment Expert, and Expert Loader as well as Expert Marksman, Adrenaline Rush, and Manual control over secondaries or AA. However, they have forgone Basics of Survivability, High Alert, Jack of All Trades, and Fire Prevention. We dont even have to compare the modules as Im sure you get the point. In Terms of raw damage numbers, yes. In Terms of percentages, absolutely no. Carriers take more damage. Which they share with Cruisers and Aircraft Carriers. since fire does % damage the extra hitpoints in no makes makes you more durable against fire. Except of course for the Magic Consumable that you have that restores 100% of the fire damage, but why should we bother with it? Fire is *THE* counter for CAs against BBs. Without it, there is virtually no chance that even a pack of cruisers can kill a BB, at least not before losing the majority of them to BB AP citadels (which, by the way, virtually all cruisers can take from ANY angle, ANY distance). It's also the mechanism by which gunboat DDs have any hope of causing any significant damage on BBs. Fire works fine as it currently is. Learning to manage your DC and RP consumables easily makes up for damage taken by fire. As pointed out above, fire takes so long to accumulate damage that isn't NOT the fire that's killing you, it's the direct damage shots. Fire is generally only a threat if you're VERY low HP. Otherwise, it's more of a nuisance. Look up the Battle of Tsushima. "The Japanese also used mostly high-explosive shells with shimose (melinite), which was designed to explode on contact and wreck the upper structures of ships. The Russians used armour-piercing rounds with small guncotton bursting charges and unreliable fuses. Japanese hits caused more damage to Russian ships relative to Russian hits on Japanese ships, setting the superstructures, the paintwork and the large quantities of coal stored on the decks on fire." The Japanese won that battle quite handily. Russia lost 7 Battleships. Right but the Japanese were not firing HE to start fires and if the Russian fuses had worked properly their shells would have been exploding inside the Japanese ships which is the entire idea with AP, get through the armor and then explode. in a big bit of irony the Japanese had unreliable fuses in WWII. You better not tell british cruisers about that, they are so convinced that AP is capable against BB's thats all they will fire at them. The British also had unreliable fuses at the Battle of Jutland, the German Battlecruisers ended getting hit an absurd amount of times and remain combat effective . The advantage of HE is that it explodes on contact, and does guaranteed damage. But I'll almost guarantee the Japanese were hoping to start fires at Tsushima. It's been known for awhile that explosive shells aren't effective against Ironclad hulls, the only hope of success in using them is starting a devastating fire that destroys the ship. The same goes for pre-dreads, your not going sink a capital ship with HE unless it is overwhelmed with fire. It might have been their hope but combat ship fires are started more by where the shell explodes than by what type of shell is being used. HE fire chance should be drastically reduced and AP given a fire chance too. Realism be damned. It all comes down to a game balancing mechanic to allow (theoretically) any ship to destroy any other ship of the same tier. Since little CA and DD guns are never going to seriously hurt a BB with AP rounds (most of the time, a full broadside BB might be vulnerable, but no citadels), their has to be some mechanism introduced to allow them compete, otherwise the game become World of Battleships (and stealth DDs). the biggest problem is the fact that a battleship cant use its(health) to any advantage because fire is constantly draining health. There is a difference between cruisers being able to fight battleships and being a direct counter to battleships due to how the fire meta is right now. 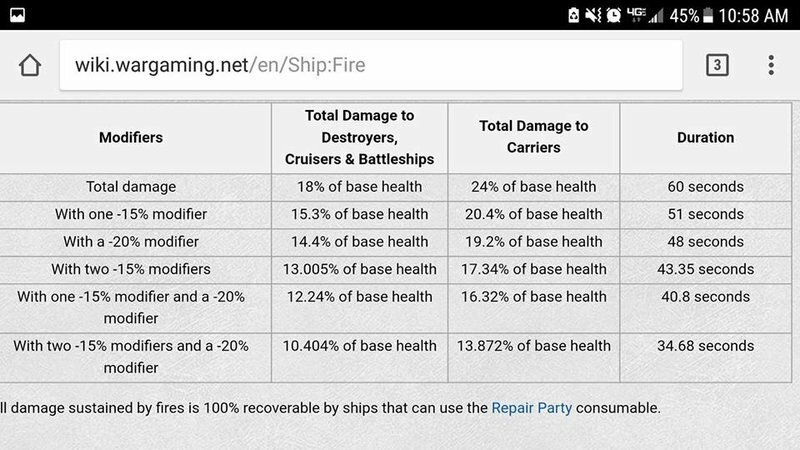 yes fire is only reducing health however fire can easily drain 50k health when their is 3 fires so when you as a battleship has used damage control for 3 fires. the active effect of fire is just making a battleship a big cruiser when it comes to health loss. im not saying fire is killing ships im talking about how its damaging ships. So, you'd prefer that cruisers have no way of damaging BBs? That certainly eliminates any possible counter to BBs, since DDs have long since been nerfed into the ground as a possible BB counter. (d) your aim stinks, since you can't seem to eliminate the CAs with your big BB AP. The fire meta is what it has been for almost 3 years now; in fact, it's HARDER to set ships on fire than it was 6 months ago. Fire is the BB's primary weakness these days, since the vast majority of other threats are now either easily defeated or quickly countered. 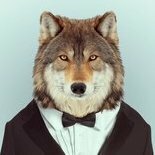 I hate to say this, but your problem is either experience or user education. It's not the current fire implementation. No one is asking for that, well I am certain there are some, but simply lower HE fire chance and make HE the lowish damage per shot grinding wheel it is supposed to be while giving AP a fire chance too. HE would then be the ammo to use when AP doesn't do the job instead of a method to deliver fire on the target. Fire would be a bit less common while cruisers & DD's would still be able to damage heavily armored ships. Only RN BBs have that huge fire chance. Everything else has a fairly small one. With the level of fire-reduction strategies currently available, I find that my "flamethrower" T8+ IJN cruisers - which have some of the best CA fire chances in the game, have an ACTUAL fire percentage of high single-digits. That is, the nominal 17% chance that an IJN 8" gun has really is about 8% when you take it out and use it. That's not even averaging 1 fire every other volley of 10 (considering few volleys hit 100%). The only fire problem in the game is RN BBs. Evrything else is just fine. The 20 something to the high 30's fire chance the other BB's have is a small chance? Our options to deal with fire are all or nothing which isn't just fine but the changes that would be needed to make fire a simple side effect of hits instead of the weapon it is now would require a complete rebuild of the game so it is not going to happen. Changes to how we fight fires could be brought in though. I would be OK with the fire spam if BB overpens caused flooding like they should. We would really need a new type of flooding that does far less damage than the current flooding fro9m torpedoes does.